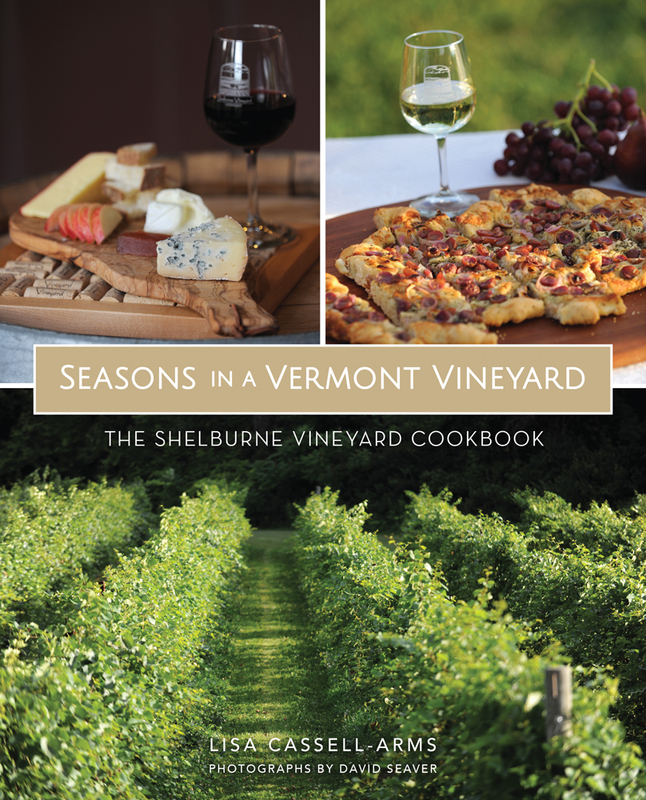 This tart is a quick and easy adaptation of a recipe from my cookbook, Seasons in a Vermont Vineyard. It’s a great tart for a summer lunch and is super easy to make. And it falls within one of my favorite pairing dynamics: opposite flavors attract. There is something about the tangy punch of goat cheese alongside the spicy/sweet jam topping that works like a charm. 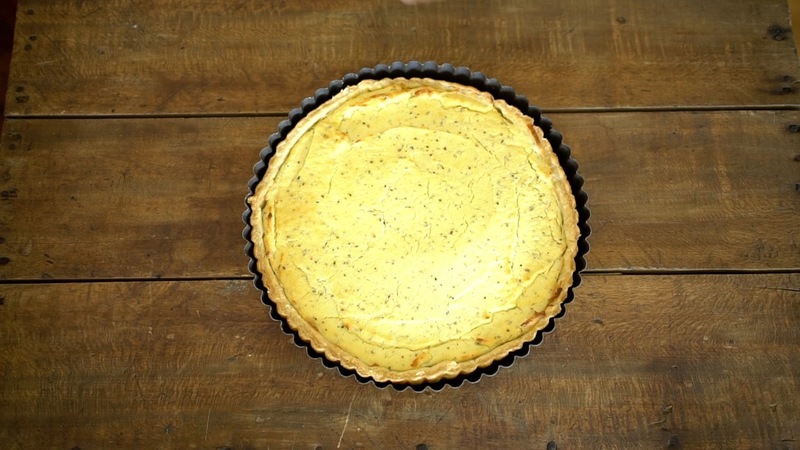 There’s a particular Vermont product I love to use when I make this tart. Sidehill Farm Mango Habanero Jam, which I can get at my local stand right around the corner. But you can easily substitute your favorite apricot jam with a dash of cayenne whisked in. Serve this flaky, crisp tart shell filled with creamy goat and ricotta cheese, topped with a sweet and spicy jam and crunchy pine nuts on top of a pile of summer greens tossed with a mustard vinaigrette. Make this as a single tart or little individual tarts if you’re inclined to be a little fancy! Place flour, salt and butter in the bowl of a food processor and pulse until the butter is the size of peas (just a few seconds will do it). With the processor running, slowly add just enough cold water for the dough to begin to hold together. Turn dough onto a sheet of plastic wrap and firmly pat into a disk. Cover the dough completely with plastic wrap and refrigerate until the filling is ready. In a mixing bowl, mix the goat cheese, ricotta, egg yolks, salt and pepper. On a floured board or countertop, roll the pastry dough into a circle, about ½ inch thick. Line tart pan(s) with the pastry and trim the edges to fit. Be careful not to stretch the dough or it might shrink when baking. Prick the bottom of the tart shell with a fork. Pre-bake the tart shell(s) for about 15 minutes, or until the bottom of the shell just begins to brown. Remove the tart from the oven. If the bottom of the crust has puffed up, gently press it down with the base of a glass or measuring cup. 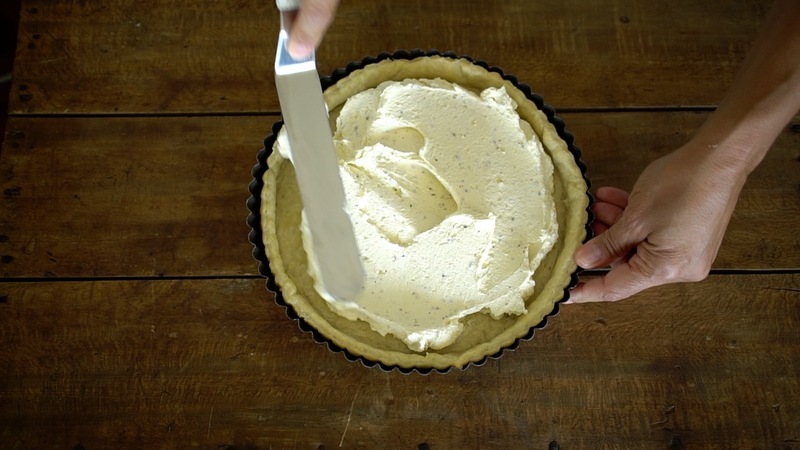 Pour the goat cheese mixture into the tart shell and spread out with a spatula. 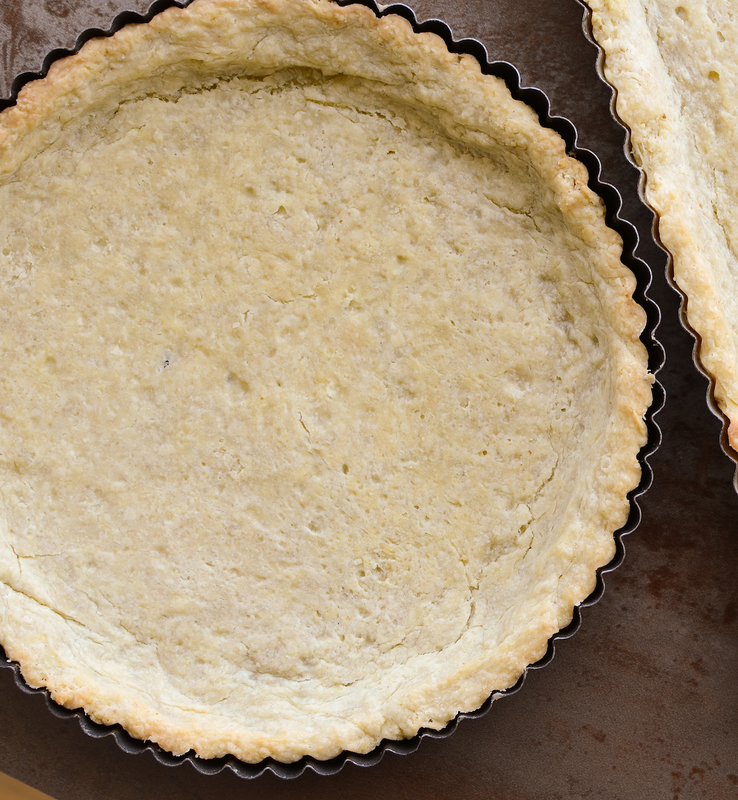 Bake the tart for about 35 to 40 minutes (or about 25 to 30 minutes for tartlets). The filling should be just set and starting to brown on the edges. Cool. 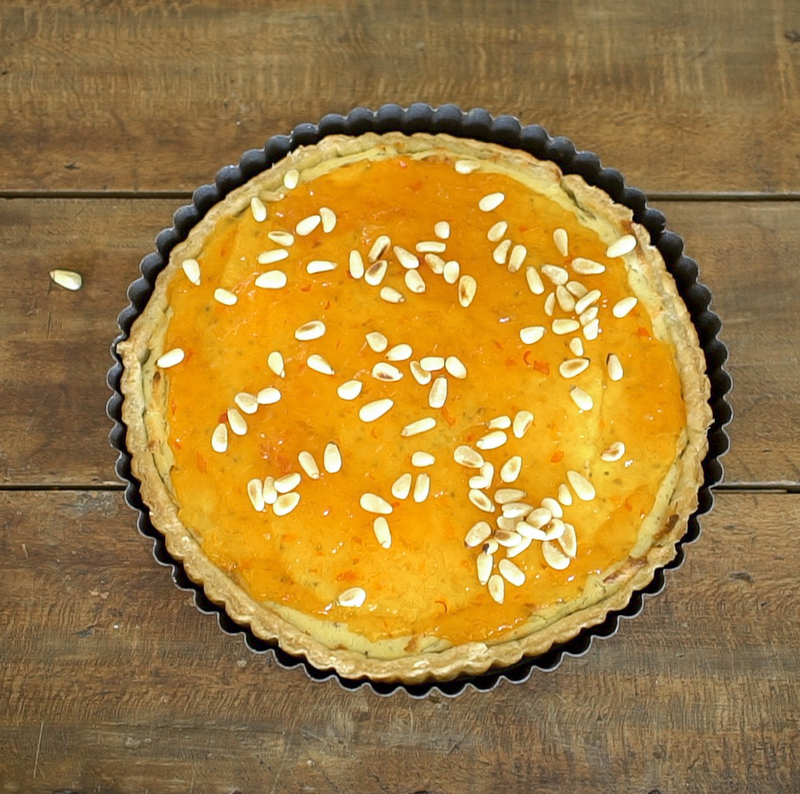 When the tart is completely cool, spread sweet and spicy mango/ habanero or apricot jam over the top. 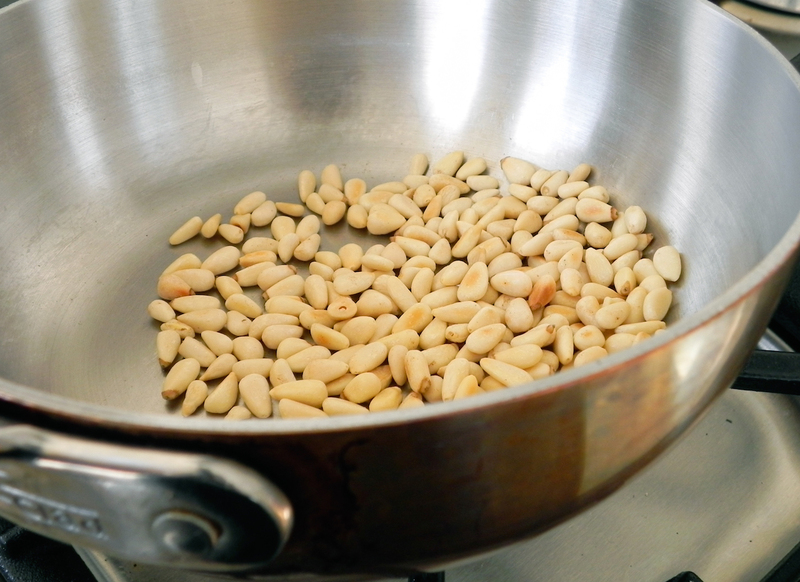 Sprinkle toasted pine nuts on top. Serve with mixed greens tossed with vinaigrette for a light main course or a filling appetizer.